Landscaping and exterior design can make a big statement for your outdoor space. But what if you could add art? Plus, you can’t just add any artwork because of the outdoor elements. Getting outdoor art for your exterior space has to be selected carefully if you want it to last. Most art will not hold up outside. Between wind, rain and sun it can get pretty beat up. Luxurious Sculpture is the answer! Modern outdoor art is often sculptures made to withstand the elements. Most of the time, modern outdoor art is created from metal. Metal sculptures can withstand elements if created the right way. Type of metal, coating, thickness and installation all determine how well your outdoor art will do. 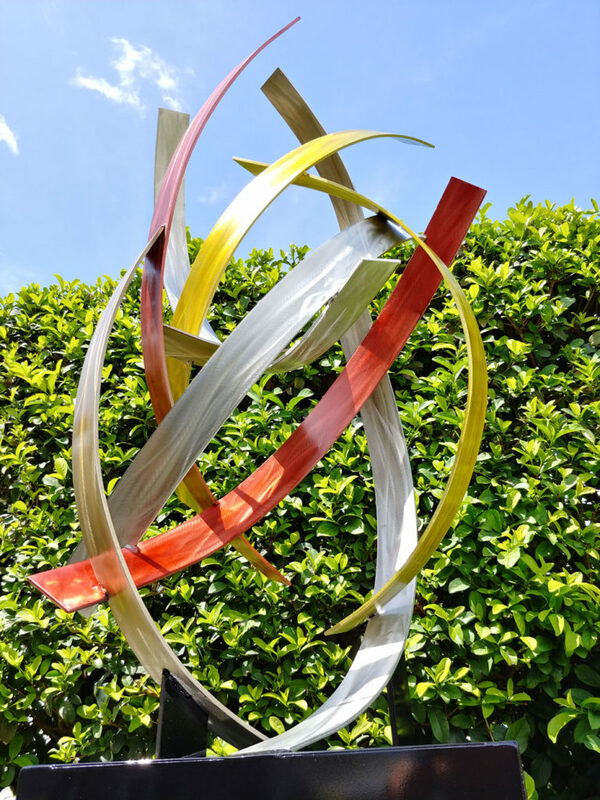 Dustin Miller our featured metal sculptor here Abstract Metal Design Gallery specializes in modern outdoor art sculptures. They are created from the highest grade of aluminum and stainless steel metals and coated with the best coatings for resisting the elements. From design to creation, his work can make a statement in your landscape, near your pool or even indoors. See for yourself how Dustin’s work makes a lasting visual impact by viewing the gallery. So get in touch today to discuss your large modern outdoor art sculpture project with the artist!